Hi all, I’m back today with a non-card post but am sharing pictures and the answer to a question that I am asked quite frequently. The question is how do I store my long nesties. 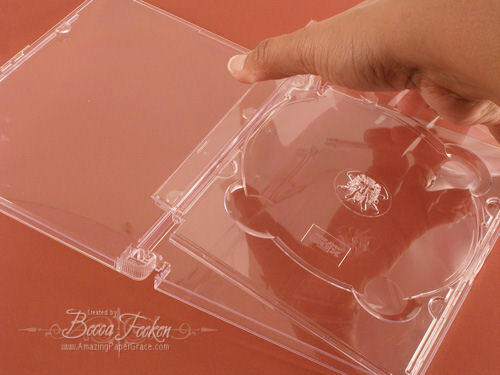 Some time ago I found some DVD cases that were perfect however they came with DVD’s in them. Over time I was able to find a place to purchase them empty so I’ve bought quite a few and they serve several storage needs. Now first of all this does not include my regular nesties. In fact, if you check the Spellbinders site you will see that they have a storage solution for you to consider. 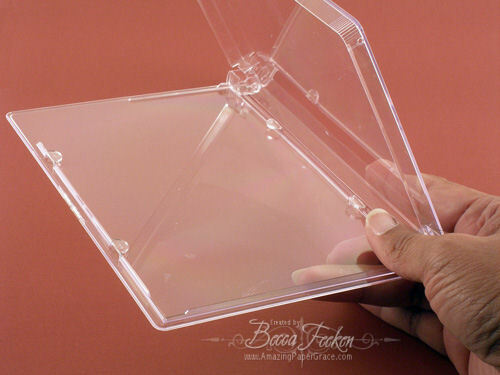 These cases are for all the oversized nesties that will not fit into a the Spellbinders case or say, a CD case. 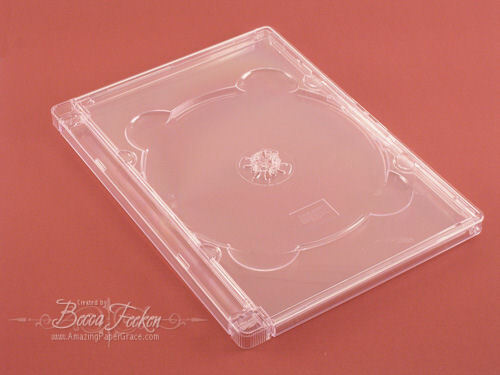 For most DVD cases the insert is a molded part of the back however this particular brand is made with a removeable insert that comes out very easily. So the result is a standard size case – in other words, not a slim case. The usable space inside the case is 5″ wide by 7.5″ tall. The overall size of the case is 5.75″ wide by 7.5″ tall. Here is the closed case with labels applied on the front and spine. I’ve also been storing my cling mounted sets in the same cases. That’s it for storage for those long Nesties. Thanks to all who submitted the question!! By the way the DVD case is called the Super Jewel Box King DVD Case and you can get them HERE. ETA: This is a new vendor that I’ve switched to as of March 23, 2012. 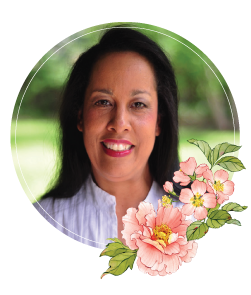 Don’t forget that tomorrow is the first Magnolia-licous blog hop!! I’m so excited – you can start the blog hop with Suzanne Dean at Scrapbitz and eventually you will come though here. Hope to see you then!! That a really good way to keep the long spellbinders. Thanks for sharing these Becca! I so need to do something wih my spellbinders. They take up too much space since I have them in containers. I have to get cd cases. Hope to stop by tomorrow for your Magnolia Creation! ok email where i can find some of those that is neat!! Thanks for the info – great idea. Fantastic idea, I have a pile of empty cases somewhere, will have to get some magnetic pvc. Oh my gosh, what a great idea! Thanks for the link! I don’t have any of the long Nesties yet, but I do have a bunch of Cling mounted stamp sets that are in need of good storage! Thank you so much for posting this! Awesome idea – Becca!!! I’m telling ya – you are one clever lady :)!!! Thanks for the link for those DVD cases. Just ordered some. Thanks for the link – I just ordered mine! Now my long Nesties and Piercies can have a home with the rest of their family!! Love your cards and its the first site I go to everyday. ingenious – thanks for sharing Becca – and if you use it – i know it will work for me. Love these ideas…..just starting out but, thanks to you I won’t be a clutter-bug with my CD cases and magnetic strips on hand!! Thanks! !